My prize from winning Vera’s contest arrived today! She sent a lovely handmade scrubbie dishcloth (how did you know I love those?) 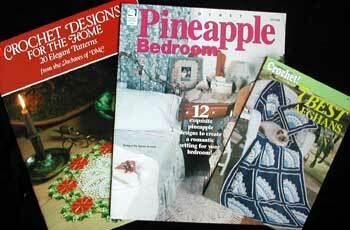 as well as three fantastic crochet pattern booklets. All excellent gifts, Vera, thank you! Wow. It got to you pretty quick, but then again, I’m just over in the next state. Glad you like the scrubbie and books. 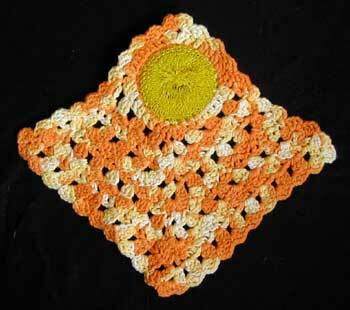 I got the pattern for the scrubbie from the late great “Crochet with Heart”. I’ve made lots of them. They are easy to make and are great last minute gifts.